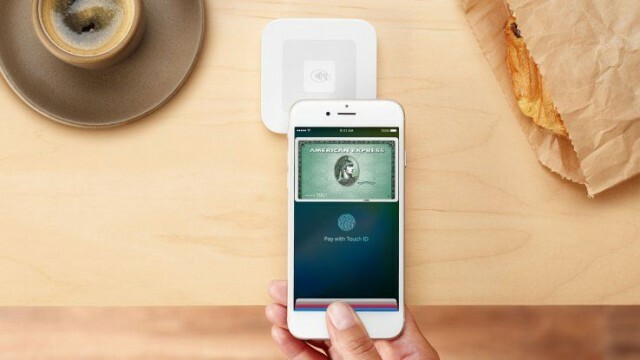 Square’s new card reader will bring Apple Pay to everyone. About 95 percent of the coffee shops and stores I frequent in the Phoenix area use a Square reader or terminal to process payments, and virtually none of them support Apple Pay. That could soon change, though, thanks to a new contactless payments terminal from Square that will bring Apple Pay to businesses small and large this fall. During today’s WWDC keynote, Apple revealed that Square’s new contactless chip reader will move customers through lines quicker than ever with NFC support for Apple Pay and Android Pay, as well as taking chip-and-pin cards. To pay, customers simply tap their iPhone or Apple Watch on the device. If you’ve got a chip and pin card, you just slide the card into the slot until the transaction is completed. Merchants can plug the new reader into the Square Stand USB hub or use the reader’s battery to connect it wirelessly. Reservations to receive the new reader opened this morning, and the company says it will send out 250,000 free units of the new NFC reader. Pricing hasn’t been announced as of yet, but Square says it’ll also throw in its regular magnetic stripe reader with every box, in case customers aren’t ready to embrace the 21st century just yet.